CIHE (Certified Incident Handling Engineer) - Mile2 Course in Riyadh, KSA. 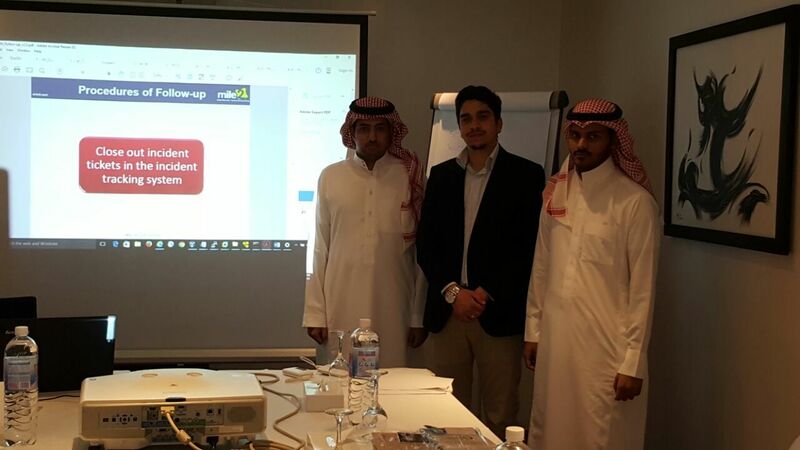 Ahmad Helal has delivered CIHE training course in Riyadh, KSA from May 1st - 5th, 2016. Mr.Muntaser Bdair presented in GISEC 2017-Dubai. Mr. Muntaser Bdair Delivered ISO 27001 Leader Auditor training Course Amman,Jordan. IT Security C&T had organized an Information Security event ( “Information Security- Awareness and Risk Management”) on Wednesday April 6th, 2016. Information Security "Governance & Operation"